February is Heart Health Month and we are so happy to help spread the word. Lands&apos; End sent me some goodies to feature on Instagram in a paid campaign. 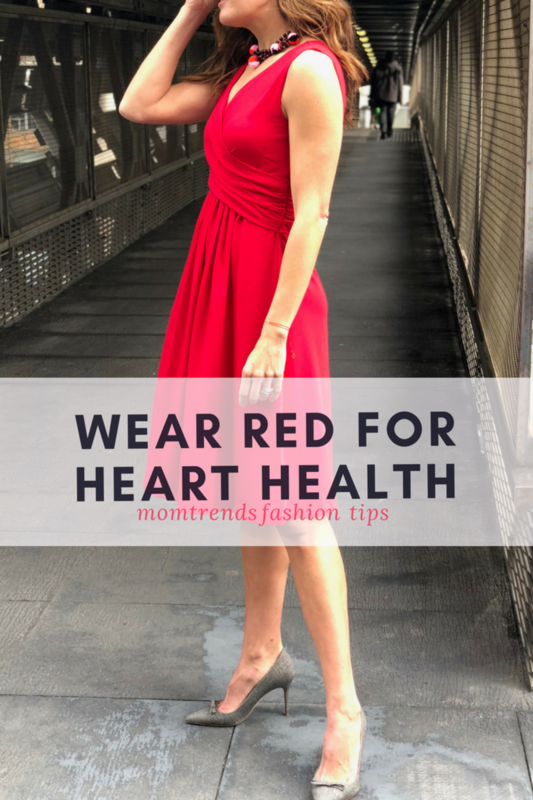 The idea is to shop red and wear red this month for women&apos;s health. Get started here www.landsend.com/wear-red/. I loved the program so much that I wanted to share the outfit and the details. Oh, and it&apos;s not just me who got into the action--even the office pooch got into the fun! For year&apos;s we&apos;ve loved how Lands’ End has dressed women to make us feel strong, pretty and confident. This year they are supporting the American Heart Association’s Life is Why We Give™ initiative and giving back when you purchase red. Life Is Why We Give™ increases awareness of heart disease and stroke, the No. 1 and No. 5 causes of death in America. The money raised will go to research and education. Did you know gratitude can improve your heart health? Yep, it&apos;s true. Check out this article about heart health here. 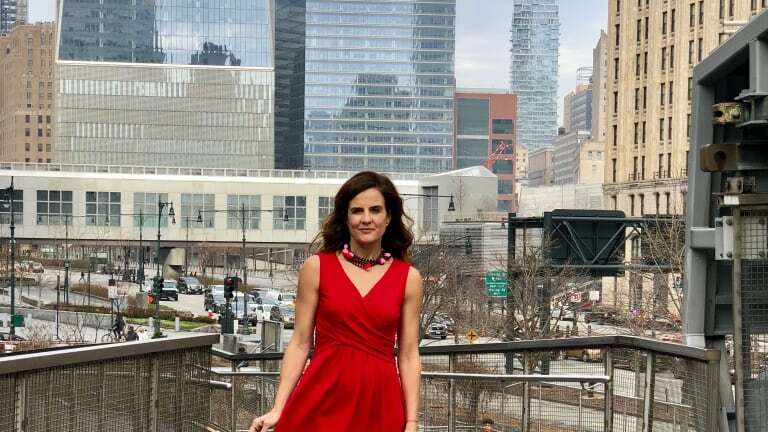 Share #WearRed Photos – Lands’ End is asking everyone to join the movement and share photos on social media using hashtag #WearRed and #MyLandsEnd. For each photo through February 28, 2018, Lands’ End will donate $1 to the American Heart Association. Shop the Red Collection – Visit the Lands&apos; End landing page https://www.landsend.com/wear-red/ to purchase from the Red Collection and Lands’ End will donate 10 percent of the item purchase price to the American Heart Association. Take Care of Your Heart: Head to the https://healthyforgood.heart.org/ to educate yourself about ways to improve your health. The Lands&apos; End Wear Red collection spans from accessories to goodies for your dogs. As for me, I can&apos;t say enough about this swingy dress I found. I&apos;m wearing Women&apos;s Sleeveless Fit & Flare Dress - it&apos;s a fabulous red and a cut that flatters just about every figure. I styled it with some pumps from J.Crew and a Baublebar necklace. Thre dress is party-ready and also travels extremely well. So how about you? Are you ready to wear red? This is not a sponsored post. The instagram image we posted WAS sponsored, but I loved the dress so much I wanted to share it.